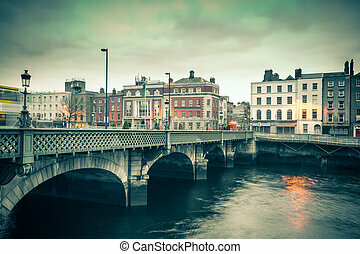 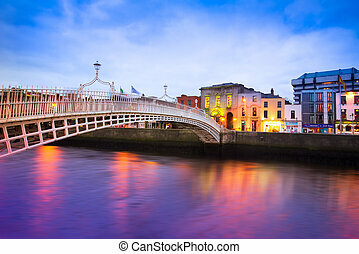 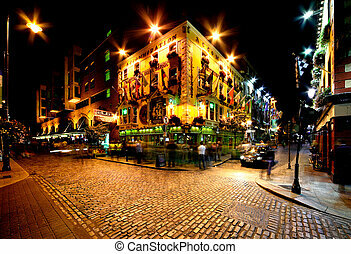 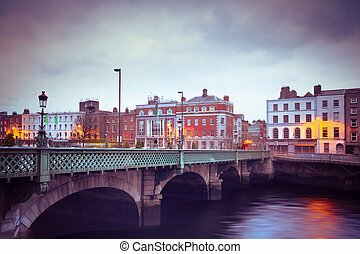 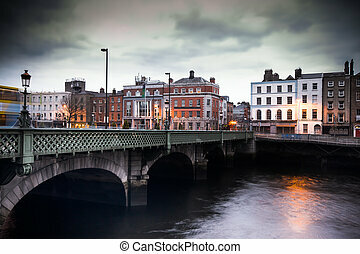 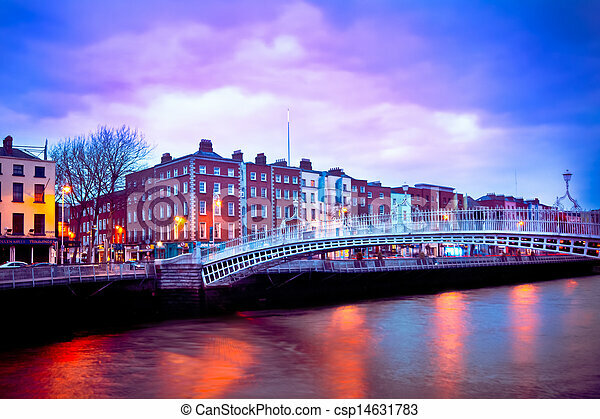 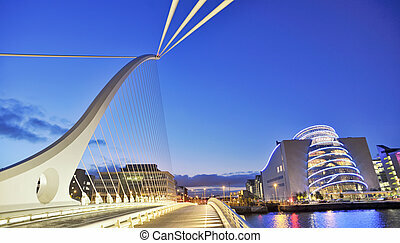 Dublin ireland at dusk with waterfront and historic ha'penny bridge. 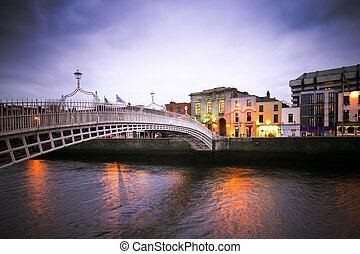 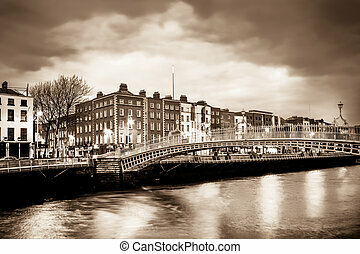 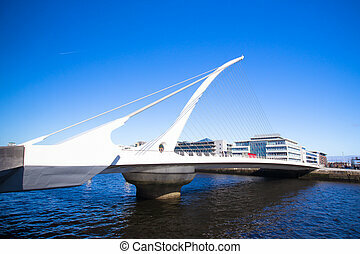 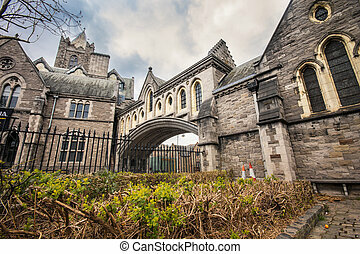 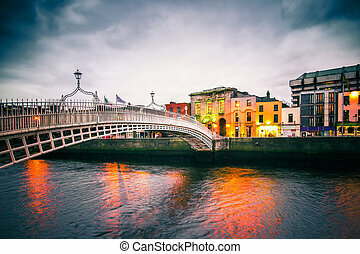 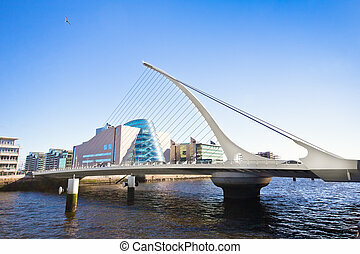 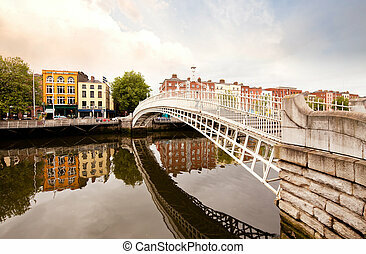 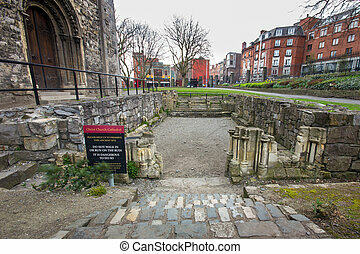 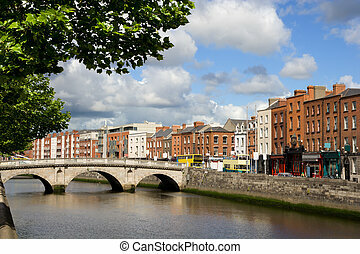 A famous toursit attraction in Dublin, Ireland, Ha'penny Bridge. 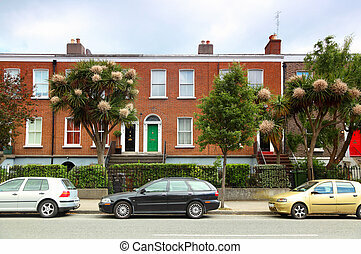 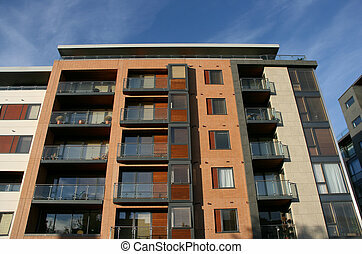 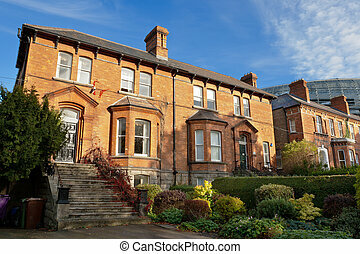 Modern apartment building in Dublin, Ireland. 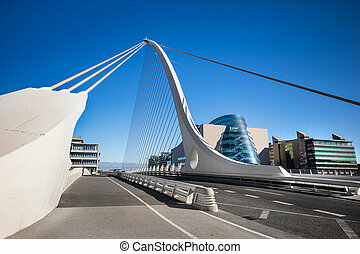 Blue sky in background. 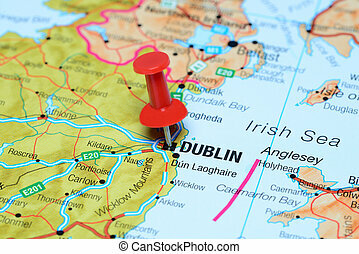 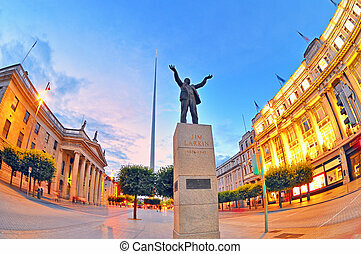 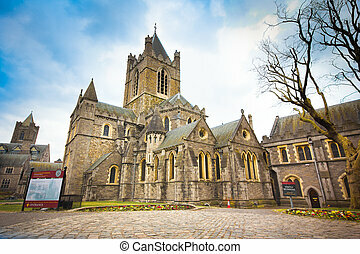 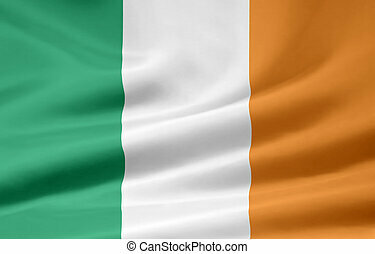 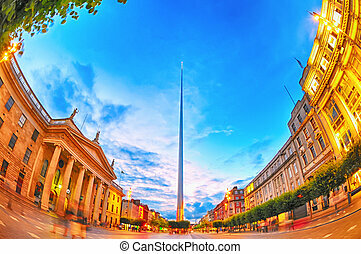 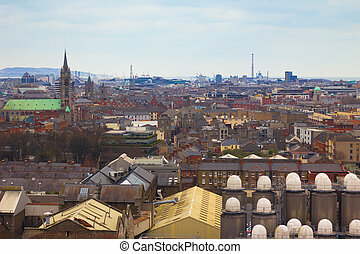 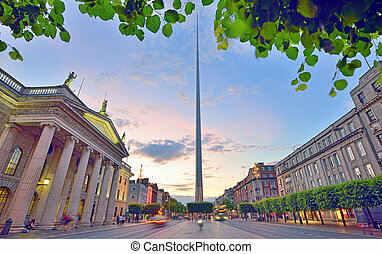 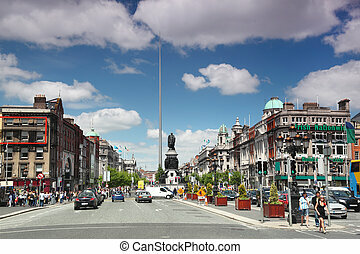 Photo of pinned Dublin on a map of europe. 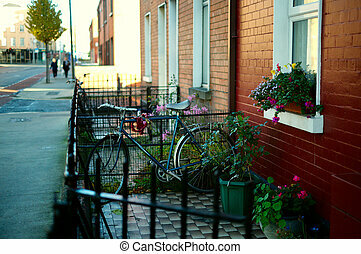 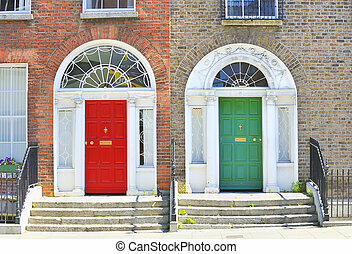 May be used as illustration for traveling theme.